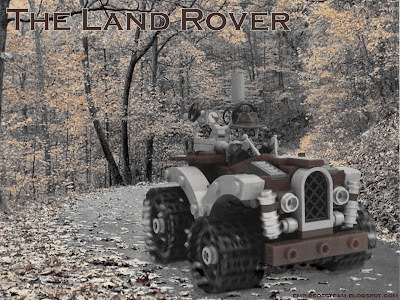 The "Land Rover" was first manufactured by the Rover Company of Coventry in 1882. Originally producing sewing machines and bicycles, the Company was to diversify into the production of steam-powered automobiles when flamboyant owner J.K. Starley (pictured above) brought engineer Maurice Wilks into the design studio. Wilks owned a small farm on Anglesey and his experiences there prompted him to write to The Times, roughly outlining his idea for a "rugged and efficient steam-powered vehicle which would prove a boon to landowners and factors across rural England". Intrigued, Starley contacted Wilks to hear more and the two became firm friends and business partners, united in their vision to bring cost-effective steam power to farms across the nation. The Land Rover Mark I was an instant success, selling many more than forecast, largely due to an appeal well beyond the practical farming folk originally envisaged as the likely purchasers. These large automobiles, designed for the muddy lanes and rough fields of the country, became a common sight on the streets of London, particularly popular amongst the capital's growing class of moneyed (but otherwise rather common) financial speculators. The interested reader is invited to view further pictures of J.K. Starley at the wheel of a Land Rover here.